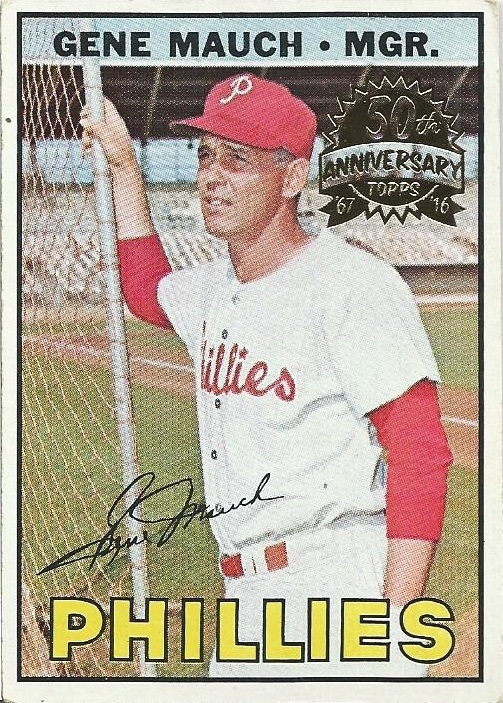 Buyback Franken-set: An Amazing Buyback or a Defacement of Vintage? About this time last summer, a buyback surfaced on eBay that had me absolutely drooling. 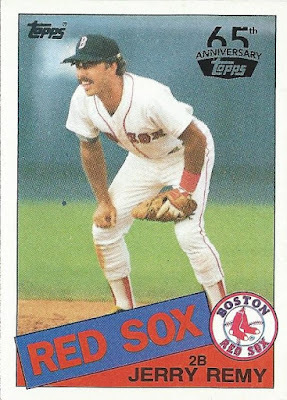 The player featured is probably one of the most prominently collected baseball players out there, and I knew demand would be high. 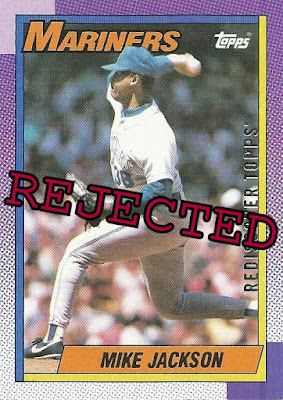 Accordingly, I stepped up my game with a bid that was higher than I'd normally spend on a single card, and certainly on a buyback. 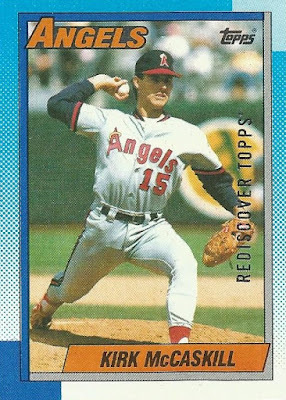 Even so, with the rarity of this particular card I didn't think I had a snowball's chance in hell of taking it home. 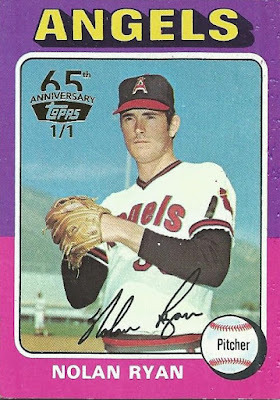 Well, to my amazement, when the dust settled I won the card for just a shade over $60, about half of what a hobby box of Allen & Ginter would set you back these days. 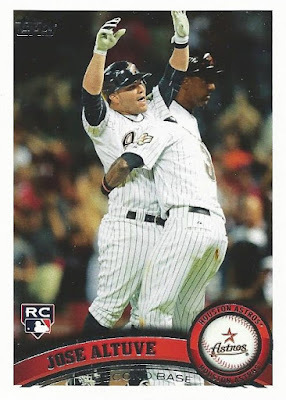 It's the most money I've spent on a card for this franken-set project by a long shot, but do I regret it? Not in the least. Check this one out! It's been about 12 months now and I still smile when I look at this one. 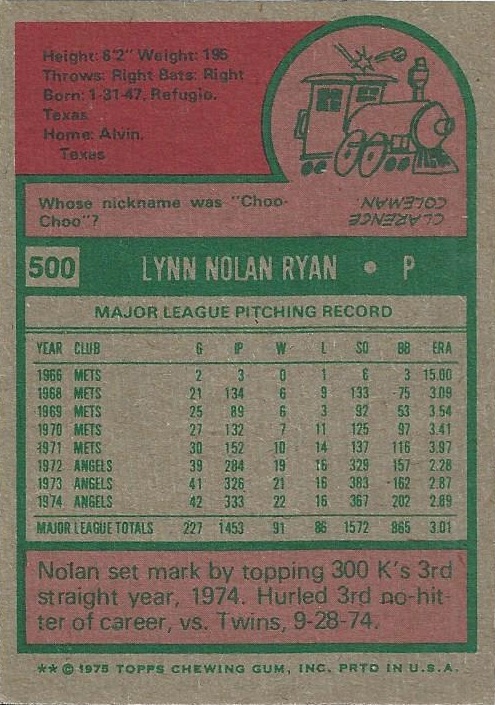 I'm sure there will be some out there who read this post and cringe at the fact that Topps defaced a '75 Nolan Ryan with a foil stamp, and I can understand that sentiment. For an admitted buyback junkie like myself though, this card (my first 1/1 buyback!) brings some serious legitimacy to my franken-set! 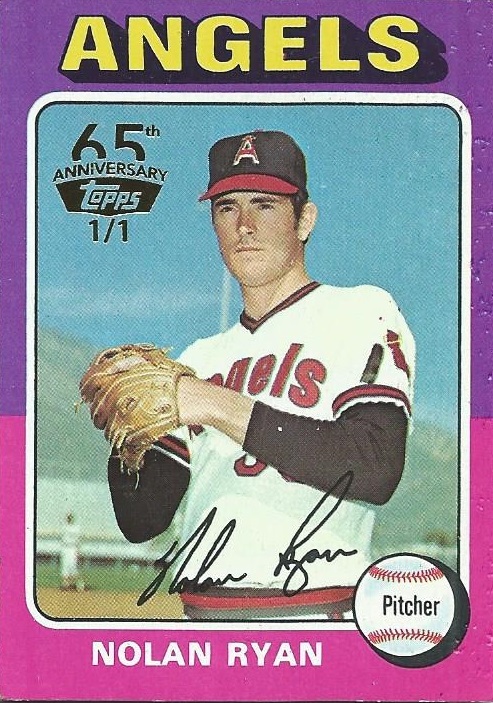 For me, the card held extra appeal because Nolan Ryan was one of three players that I considered favorites and collected as a kid. 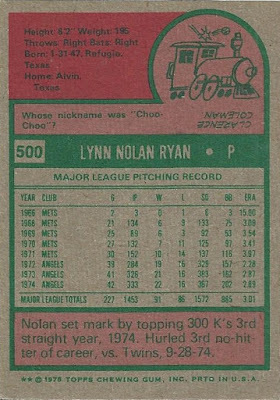 I was pretty much obsessed with the Texas Express, and collected every bit of Ryan memorabilia I could get my kid hands on. 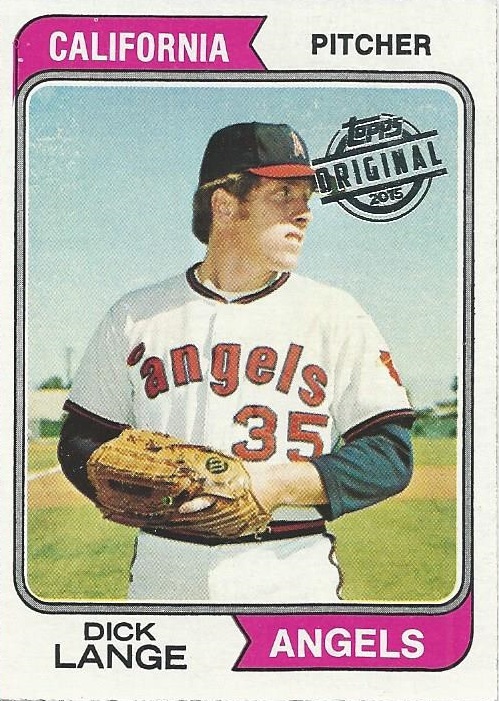 Cards, posters, Starting Lineups, and anything else I could find featuring baseball's strikeout king were strewn about my room as a kid. To this day I still have the signed ball I received from my dad as a birthday gift prominently displayed below my dart board. I didn't retain everything over the years, but I still have the ball as I mentioned, and when I got back into collecting I picked up the majority of Ryan's standard Topps flagship run (still don't have a RC). This will be a nice, unique addition to that small collection. As I said, I really didn't expect to win this one. 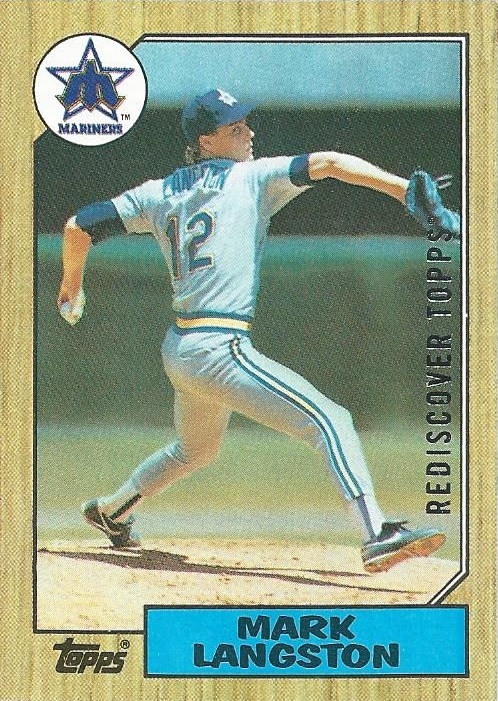 There's a huge base of Nolan Ryan collectors out there, so I figured just about any 1/1 (no matter how "gimmicky" it might be viewed as by some) would go far up into the triple digits, beyond what I was willing to pay. $60 might seem like a lot to shell out to this card, but the way I see it this will be a significant card for me for the rest of my lifetime, which I doubt I could say about anything I would pull from $60 worth of blasters from Target. To each his own. 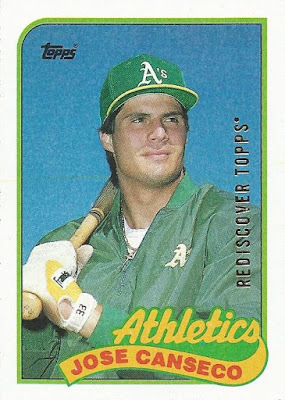 Jose Canseco was previously occupying slot 500 (hero number!) 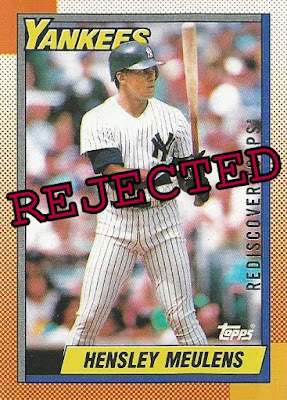 in the franken-set with his '89 Topps release. 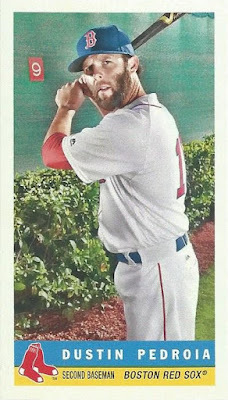 Not a bad card in the least, and normally it would provide some solid competition as far as the binder goes. 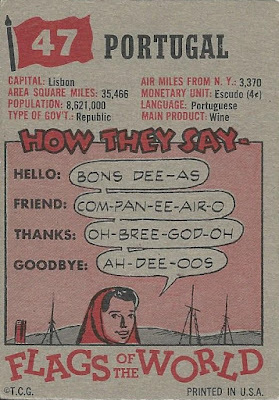 In this case though, it's no way Jose! 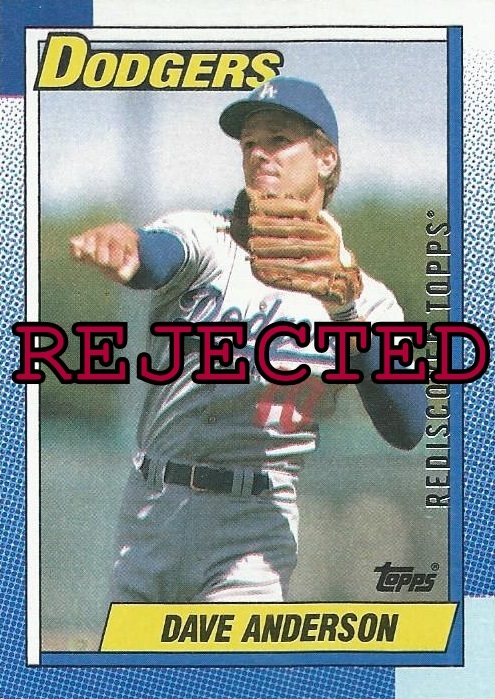 So there you have it, my single best buyback yet. Probably always will be. Now I really feel like this project has some weight behind it. 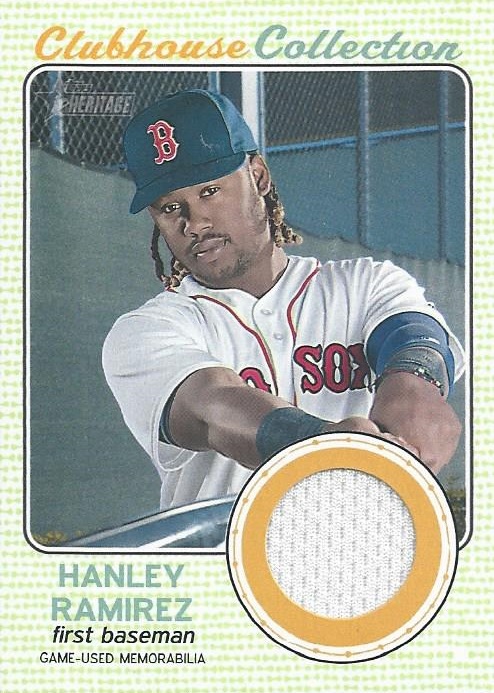 I'm not sure there's a buyback on this planet that could supplant this one, as far as this project goes I expect this one to remain in the binder permanently. The way I see it there are thousands and thousands of copies of this card out there, so I don't think stamping one was the end of the world. To me, it makes this one copy unique compared to the many others in circulation. I'm sure others will disagree though. 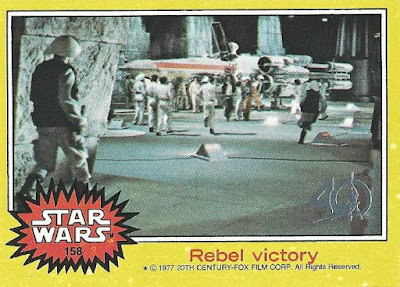 Would love to hear your thoughts in the comments, an amazing buyback or a defacement of vintage? Last month I was one of 15 lucky individuals to be included in the "Big Fun Game" hosted by Gavin over at Baseball Card Breakdown. These games seem to be pretty popular around the blogs lately, though this was my first time participating in one. The basic idea is that there are mystery lots, you choose a number and your lot is revealed. At that point you can either choose to keep your lot, or steal the lot of someone else who picked before you. We'll get to the card I won in a minute, but first Gavin was kind enough to include one of his fabulous customs along with my haul. 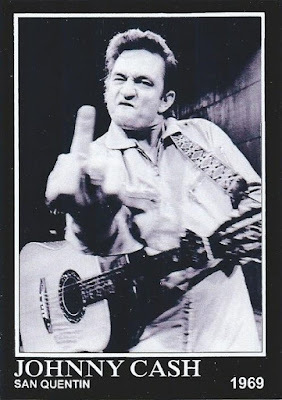 The great Johnny Cash done in the style of Conlon! I absolutely love this custom, in fact I love it so much that I commented on it a while back when Gavin originally posted and he sent me a copy then. 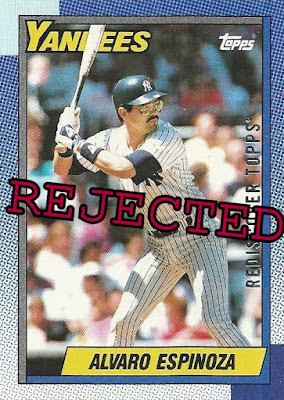 So, I'll probably ship this one off to Dimebox Nick in my upcoming trade package unless of course he already has a copy. Great stuff. Gavin included a 1/1 custom sketch card that he drew on a bus pass as well, haha! "Wohs Drac" is card show spelled backwards, and I remember getting a kick out of this one when Gavin posted it. 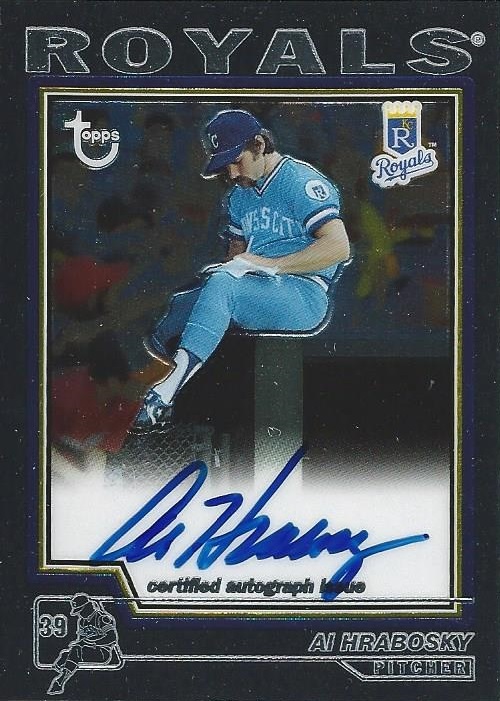 Here's my actual prize from the game, a pretty sweet on-card autograph of The Mad Hungarian, Al Hrabosky! 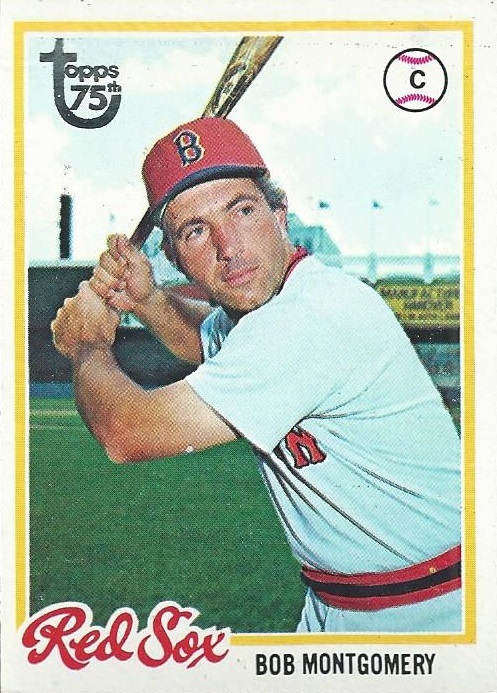 I love the shot of Al sitting atop the dugout signing for fans. 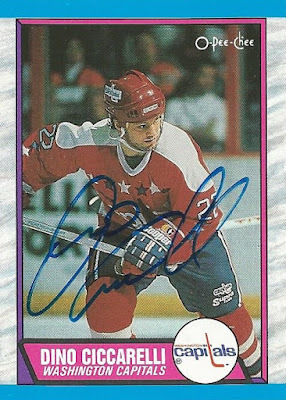 I didn't have a Hrabosky autograph in my collection prior to receiving this one, so things worked out well for me as far as the game goes. I was hoping nobody who went after me would steal this, glad I ended up with it in the end! Gavin was kind enough to toss a second autograph into my prize package. "Thunder" Matt Murton was a 2003 draft pick for Boston, but was shipped out of town in the same trade that sent Nomar Garciaparra packing. A thoughtful throw-in from Gavin here. ...and this HanRam Clubhouse Collection relic from this year's Heritage set. Sweet! This one I really like quite a bit. 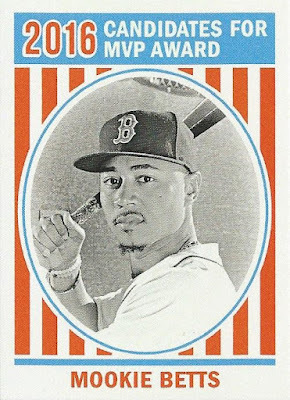 It's my first exposure to the '59 Bazooka "minis" from 2017 Topps Archives. 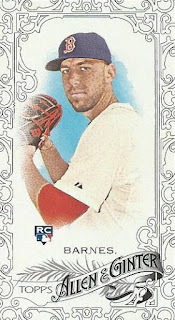 Larger than a mini you'd find in Allen & Ginter or Gypsy Queen, and a great looking card overall. 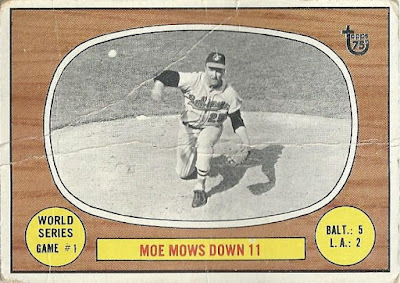 If you ask me Topps hit a home run with this particular insert set. 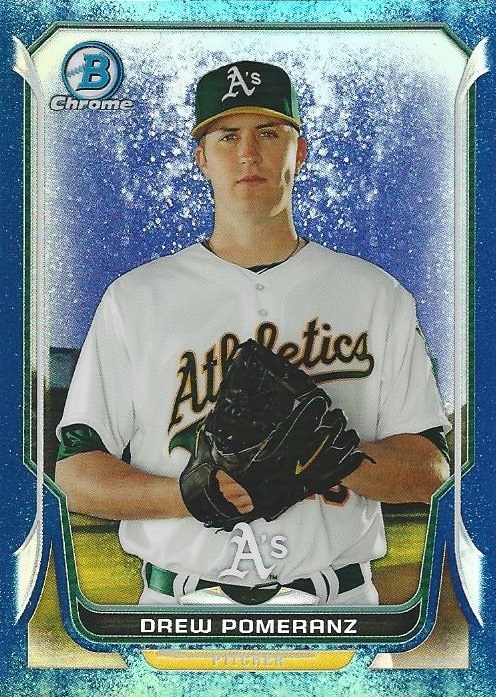 Like me, Gavin is also a fan of the Bubbles Refractors from 2014 Bowman Chrome, and he was kind enough to send me one I didn't yet have in this Drew Pomeranz. Drew has actually been surprisingly solid as a starter for Boston so far in 2017, and has certainly been doing his part to keep the Sox atop the AL East. I'll never turn down one of these Bubbles Refractor cards, numbered to /99. I think I'm up to about 20 of them at this point. As if all that weren't enough, Gavin sent one particular card that I've been wanting a copy of for years now. Check it out! From 2011 Topps Update, a nice Jose Altuve rookie card! I read an article the other day that claimed Altuve is the best player in all of baseball, and depending on how you look at it it's hard to disagree with the statement. He's led his league in hits for the last three years running now, and has a healthy lead so far in the 2017 campaign as well. 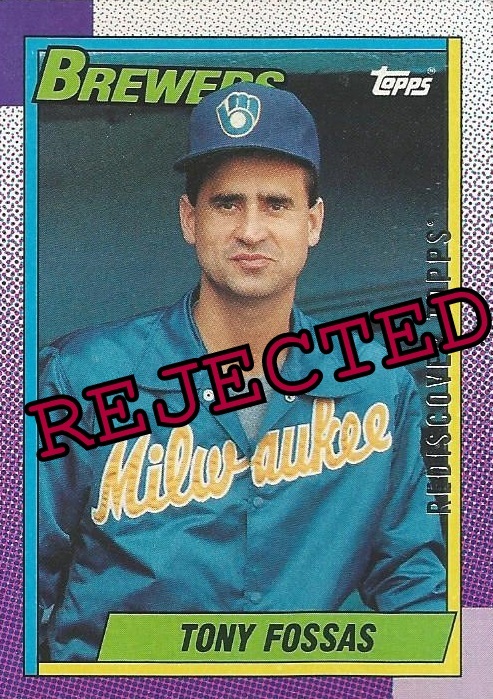 Psyched to land a copy of his official Topps rookie card at long last! Gavin, thanks for a fantastic contest/game, and for all the bonus goodies! I've got a return package just about ready for you, will try to top it off over the weekend and get it in the mail Monday! 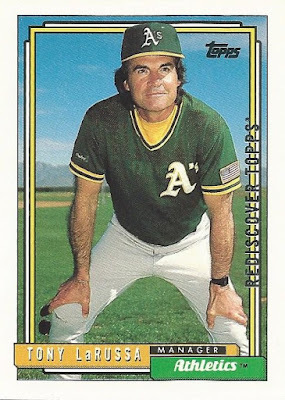 Between the trip to Portugal and my new friend Leo, I haven't managed a single buyback franken-set post in over three weeks. 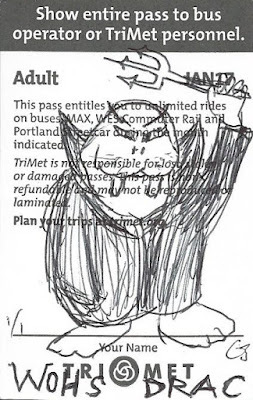 I still haven't managed to find any time for scanning, but thankfully I have one last batch of ten sitting in my drafts folder from before I left for vacation. These were hand-picked from the same eBay seller as the cards in my last post, and rang in at about 40 cents each. 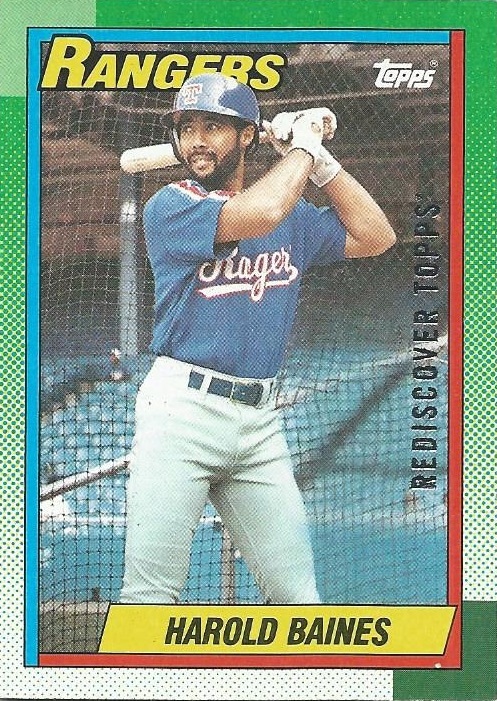 We start off with a member of the "Hall of Very Good", Mr. Harold Baines. Harold was just about at the half-way point of his very long career in 1990, and would wind up in the end with nearly 400 home runs and a very respectable .289 career batting average. This card makes the cut by default since it's my first #345 buyback, and I could certainly do a lot worse in this slot! ...but can I really choose that card over this '73 Dobson that's already in slot 34? How about Kirk McCaskill mid-wind-up on a sunny day in Oakland? 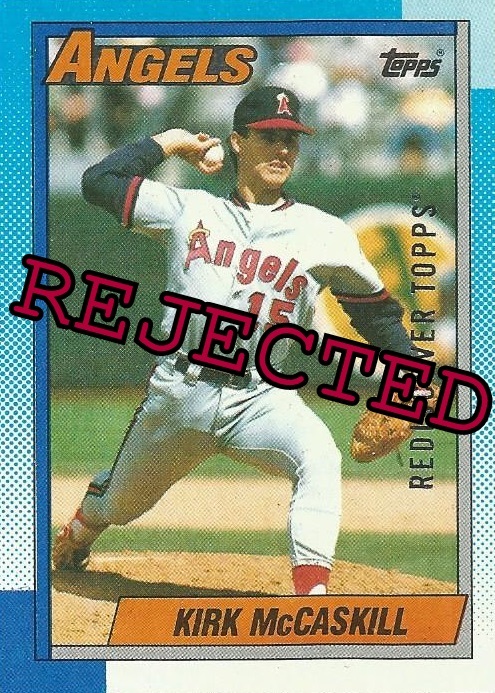 Well, his path to the franken-set is blocked by this '87 Mark Langston. As we keep rolling with the '90 Topps buybacks, next we have a pretty bland Dave Anderson card. 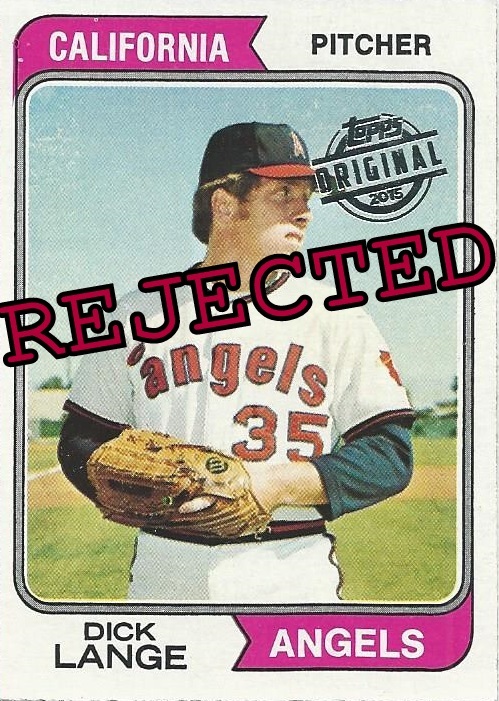 The Anderson is no match for this beautiful '67 Gene Mauch buyback. 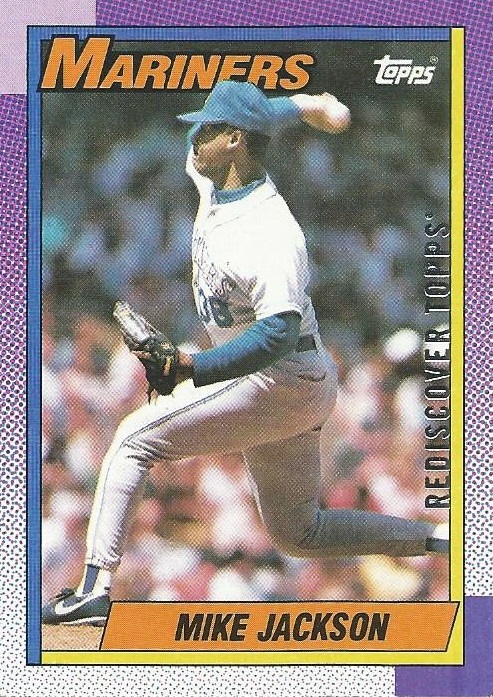 How about Hensley Meulens, a card that for reasons I can't explain I actually remember quite vividly from collecting this set as a 7-year-old in the spring of 1990? 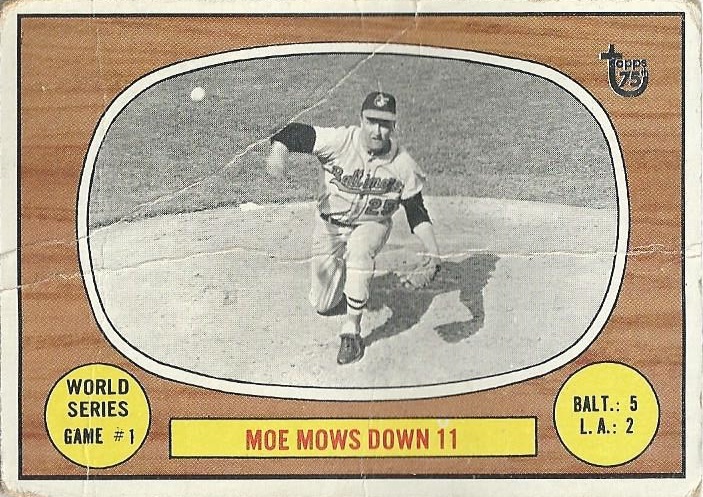 ...Montgomery stays in the binder and Meulens is out. 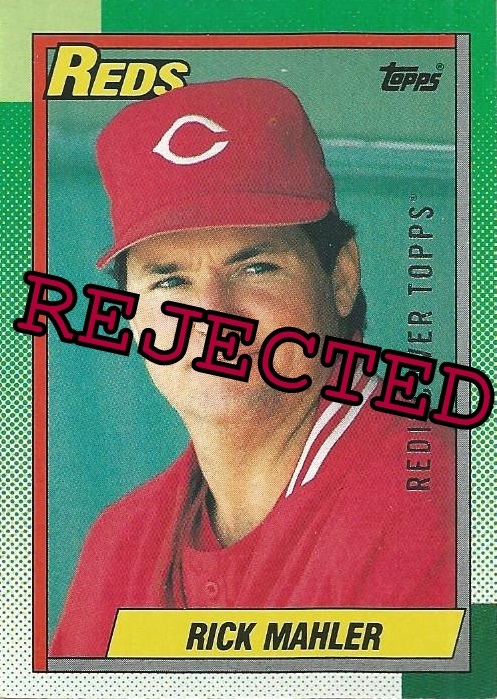 Next up, Rick Mahler on what has to be one of the least flattering cards in the entire '90 Topps release. Brutal match-up for him as far as the franken-set goes too, as I have this beautiful (and well-loved!) World Series highlight card already in slot 151. 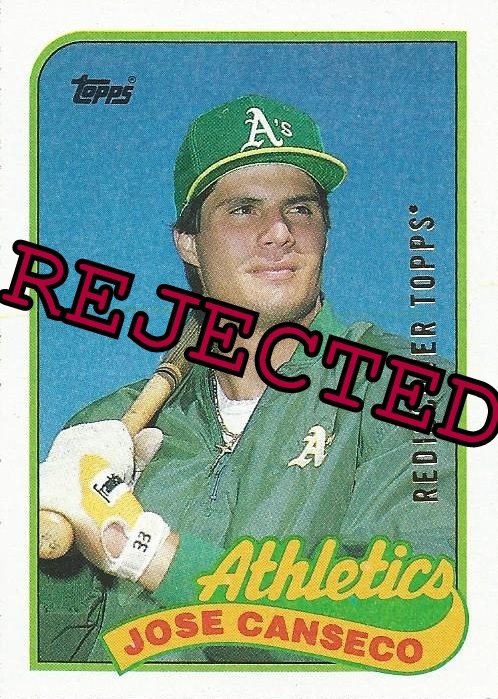 Remy remains in the binder in what was one of the easier decisions in today's post. If you're keeping tally that's six straight franken-set hopefuls rejected. Can uber-high number Alvaro Espinoza break the streak? 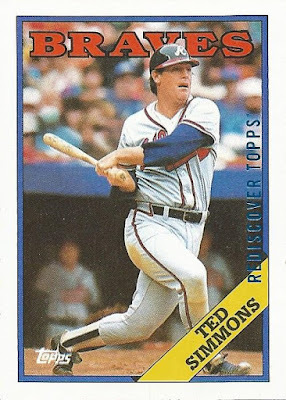 Amazingly enough, Espinoza is actually the third #791 buyback I've acquired to date, with Ted Simmons' '88 release currently resident in the binder. Gotta go with the Simmons, no question. After seven straight defeats for 1990 Topps, let's mix it up with a couple of 1992 Topps buybacks to end the post. While most of my purchase from this seller obviously focused on 1990 Topps buybacks, I just couldn't resist these two, starting with the great Tony LaRussa. I really miss manager cards in the flagship Topps set, so I'd love to get this one into the binder. 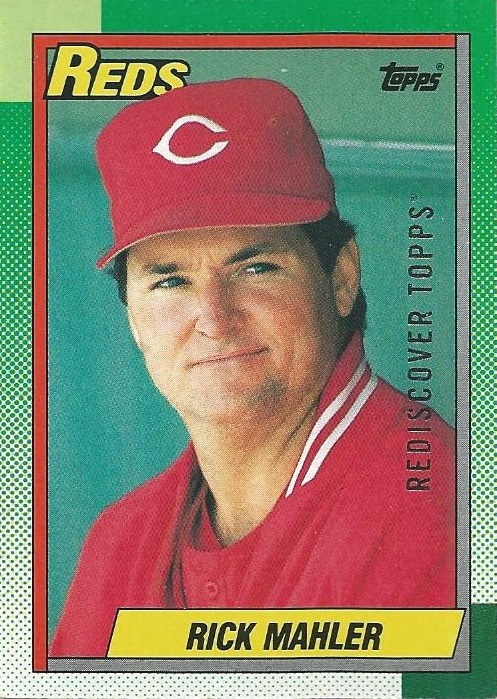 ...but I'm certainly going with the LaRussa over him! 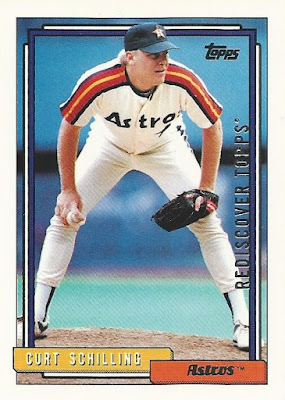 Final card for today is the pitcher with the polarizing personality, Curt Schilling! 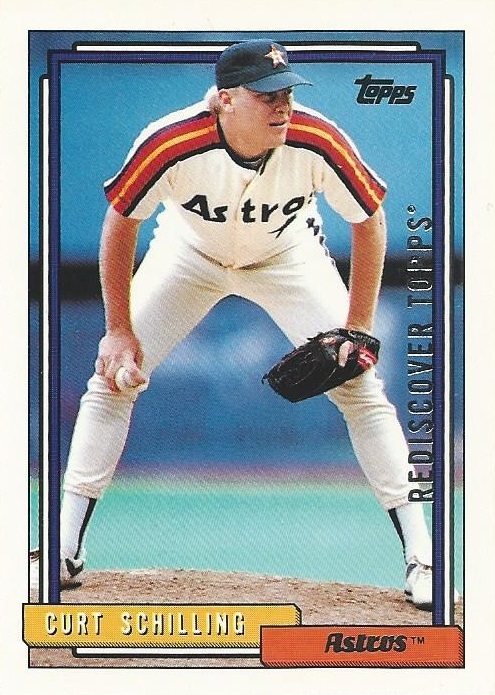 I had completely forgotten that Curt spent a single season serving out of the bullpen for the 'Stros in 1991! 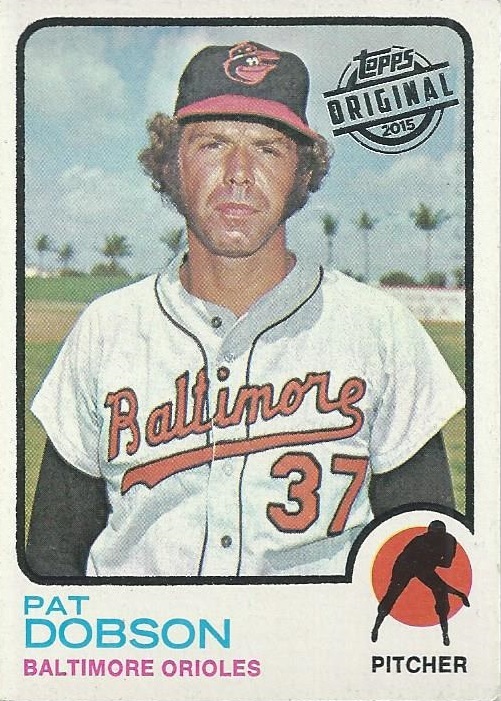 The following year he'd convert to a starter with the Phillies and his career would really take off from there. 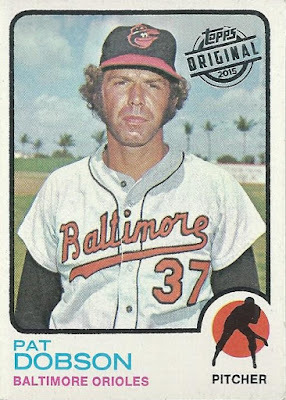 A nice buyback here of a guy pictured with a team you don't normally associate him with, and even better this is the first card since the Baines that led off the post to actually contribute a new number to the set! Well, that was a bit rough, with only two new numbers from this batch and seven of the eight competitors losing out. On a positive note I'm up to an even 40 buybacks from the 1990 Topps release now, which feels pretty significant. Also, barring a complete shutout I'll be crossing the 450-card mark for the franken-set next post. Until then! Breaking News - Shoebox Legends Hires an Assistant! I've been back from vacation for a few days now, but despite my best efforts I've had zero time for the hobby outside of keeping up with my reading of all of your wonderful blogs on the rare occasion that I get five minutes of time to myself. The result is that I'm now even further behind on a good ten to twelve trade packages that are sitting in piles on my desk, as well as some emails that I'm sure have fallen through the cracks temporarily here. Leo has been a great hire so far, but he is only just turning four months old, so we're going to be in the "on-boarding process" for quite some time here. So, if I'm less responsive than usual, or you see a few days without any posts here (which you just did), I'm still around. Just...busy. Obligatory card! This is a sports card blog after all. Mookie got off to a slow start this year after last season's blistering near-MVP pace, but he's really coming around as of late. Let's hope he keeps swinging a hot bat through the dog days of summer here (see what I did there?). This one is from last year's Topps TBT promotion. 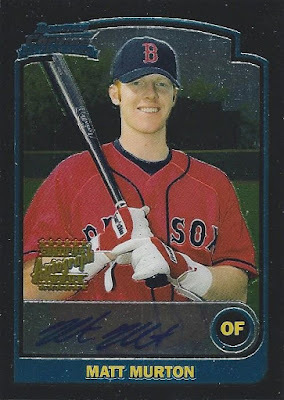 They had me hook, line and sinker last summer for any Topps NOW or TBT Red Sox card they printed up. This year, not so much. 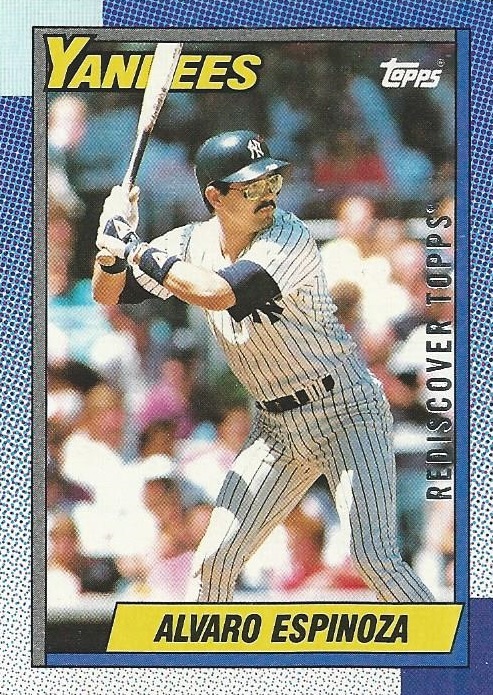 In fact I've bought just two Topps NOW cards this entire season, because they were from a game I attended. But that's one for another day, when I have time. Well, that's quite literally all I've got at the moment. Leo does like to sleep at times, so there's a sliver of hope that I might be able to start digging myself out soon here. In the meantime, I really do appreciate all the awesome cardboard that's been sent my way. I have so many great things to post about here, and I hope to do so soon! First we have a Tusken Raider, riding a bantha on Luke Skywalker's home planet of Tatooine. 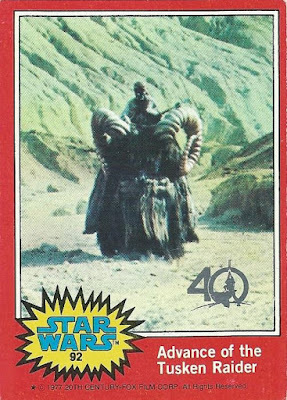 As a kid watching the original films these were some pretty intimidating evil dudes. The other buyback I've got queued up for today is my first of the yellow border variety. This scene shows the rebel pilots arriving back at their base, in a state of jubilation after destroying the Empire's Death Star. 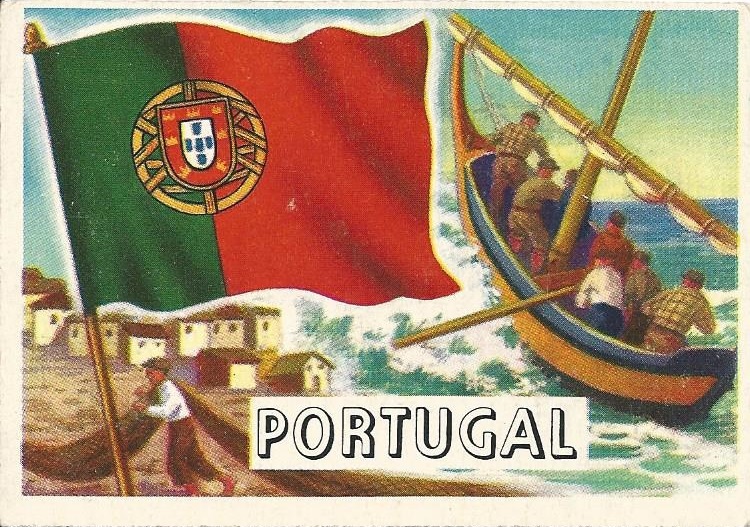 If all went according to plan, I've been driving around the country of Portugal with my wife for a week now by the time this post goes up. We're enjoying a much needed vacation from the stresses of life, and exploring a country that we've never seen before. Even managed to find this great Portugal card from the 1956 Topps Flags of the World set to properly represent our trip here on the blog! I might not speak the language fluently, but I'm hoping the fact that I can hold my own in casual conversation in Spanish helps some. And I can thank Topps for teaching me four necessary words here anyway. Before I left I did manage to get some scheduled posts up for you to enjoy until I get back. In fact, the blog has already been on "auto-pilot" for a few days, and will be for a couple days more here. 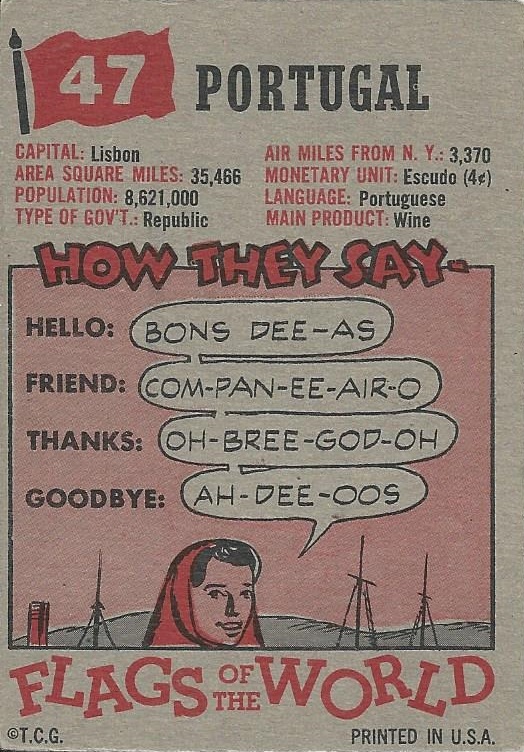 Until then, adios! I've got another 1989-90 Topps/O-Pee-Chee hockey autograph to share with you this week. It goes particularly well with the Rod Langway I featured a couple of weeks ago, as it's also a 2007-08 O-Pee-Chee buyback auto, and like the Langway features not only a Washington Capital but also a HOFer! 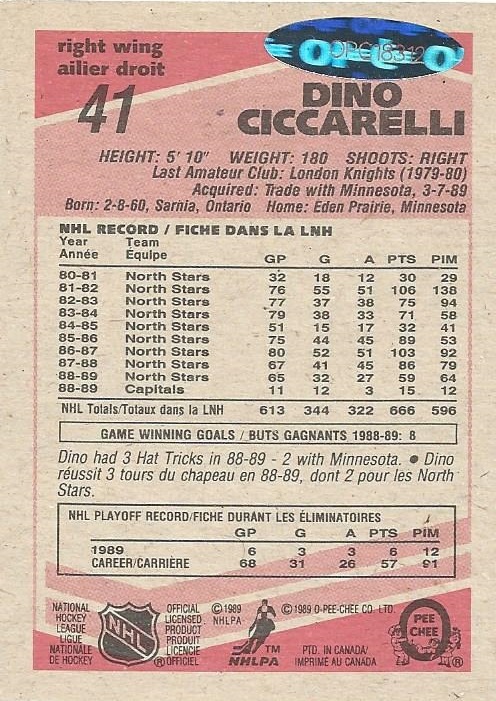 Yes, it's the great Dino Ciccarelli! This is my very first autograph of the pesky and high-scoring right winger, and like all of the O-Pee-Chee buyback autos I've encountered so far it is big, bold and on-card. 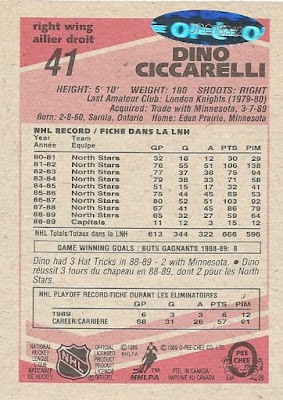 Dino carved out a very impressive and lengthy career with the North Stars, Capitals and Red Wings before winding things down with a few seasons in the state of Florida between the Lightning and the Panthers. 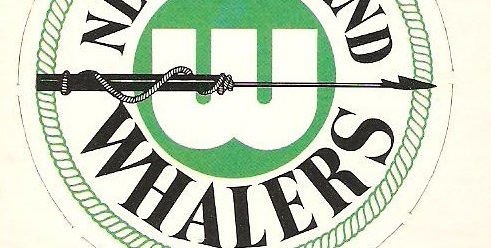 He amassed 600+ goals and 1,200 points along the way. Ciccarelli was a controversial figure both on and off the ice, and always seemed to me to be one of those guys you hated unless he was playing for the team you happen to root for. Despite his impressive point totals, Ciccarelli didn't get the "call to the Hall" until 8 years after he was first eligible. Many people attribute this to his on and off-ice legal troubles, but eventually talent won out and he was enshrined. 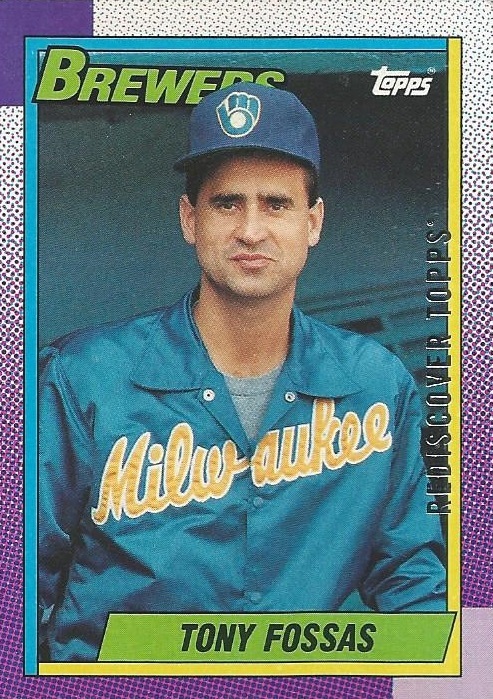 Here's the back, as you can see Dino had only just transitioned to the Caps before the '89-90 set was printed up. I was happy that, like with the Rod Langway card, the seller included the CoA that certifies the authenticity of the exact copy that I won. Another notch in my '89-90 autograph belt, and a big one at that! Not too shabby for just $4.99! 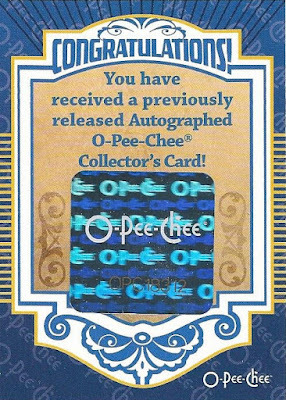 I'm always on the lookout for additional '89-90 Topps or O-Pee-Chee autographs, if you have any available or get a lead on any please let me know. Thanks for stopping by, as always!